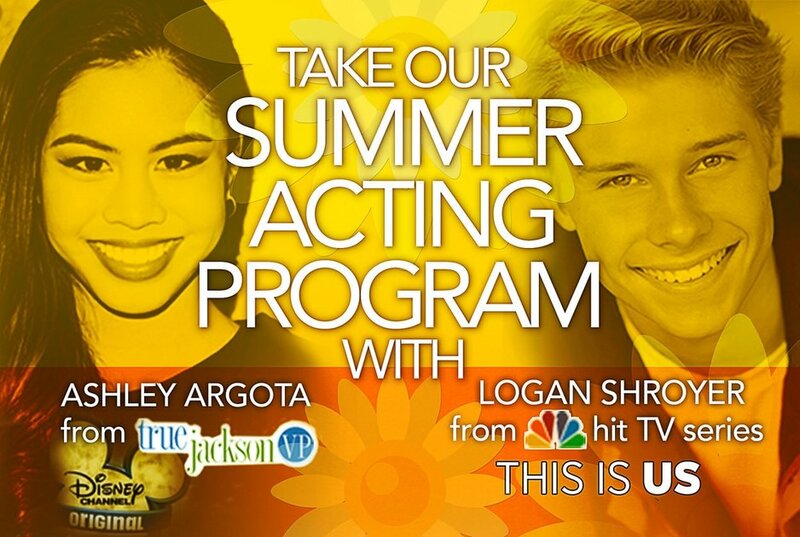 All summer programs include “Celebrity Day!” Practice your scenes with Ashley Argota (“True Jackson, VP” & Disney’s “How To Build a Better Boy.”) There will be a question and answers session, you’ll receive an autographed head-shot, and you’ll be allowed to take photos too! Practice your scenes with Logan Shroyer. Logan Shroyer is known for his work on “This Is Us” (2016), “Speechless” (2016) and Speech & Debate (2017).There will be a question and answers session, you’ll receive an autographed head-shot, and you’ll be allowed to take photos as well! Pricing depends on your kids age and skill level. Use the contact form above to request more information.